There are more than 430 days until the Iowa caucuses for the 2020 presidential election, but Crooked Media's Dan Pfeiffer, who served as Barack Obama's communications director, is making the case that Beto O'Rourke is "one of the strongest candidates in the field." Why it matters: Even though O'Rourke lost his Texas Senate race to Ted Cruz, several Democrats are hoping he'll run for president in 2020. And between this endorsement from a prominent member of Crooked Media — whose podcast, "Pod Save America," has been downloaded more than 330 million times since its launch in early 2017 — and recent praise from Obama, Beto already has some strong Democratic support if he chooses to pursue a presidential bid. "Washington was wrong about Obama and there are many reasons to believe it’s wrong about Beto." Enthusiasm. "He built a national grassroots movement for change and many of those people are waiting to be called into duty and head to Iowa and New Hampshire. The enthusiasm is real and matters." He built a winning coalition of voters. Beto won first-time voters by 14 percentage points and his "progressive appeal to the base didn’t turn off the middle." He also won independent voters by 12 percentage points more than Hillary Clinton did in 2016. If that held, "he would deliver every state Obama won in 2012, and could make Arizona, North Carolina, and Georgia competitive." He could win Iowa, Pfeiffer writes. 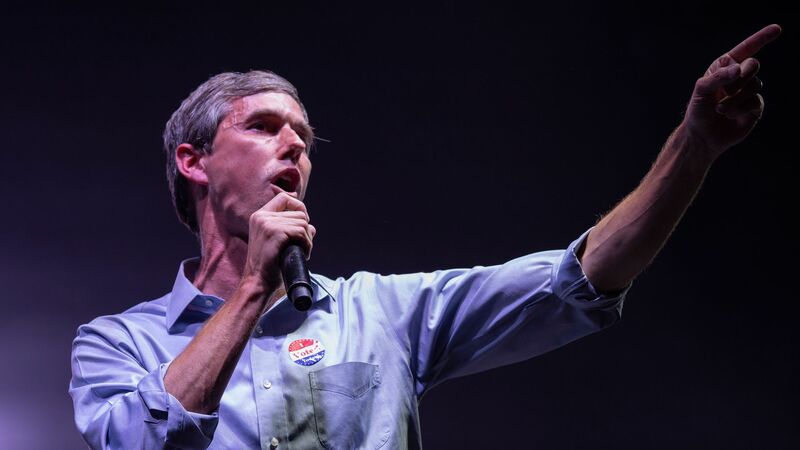 "The O’Rourke campaign in Texas was essentially an Iowa Caucus campaign on a grander scale. ... If you can win in Iowa, you can win the White House." He had an innovative campaign. From not hiring a pollster to investing heavily in digital advertising instead of TV advertising, Beto ran a different campaign. "If Democrats run the same old campaign, using the same tired and outdated tactics, we will certainly lose to Trump," Pfeiffer writes. "Our nominee must have the courage to run a different kind of campaign. Beto has demonstrated that courage." The other side: From a political perspective, he's still just a former House member who lost a very high-profile Senate race. That's a big leap to the White House. The bottom line: The same guys who believed in Obama before Washington was on board are seeing similar energy and hope behind Beto in 2020.